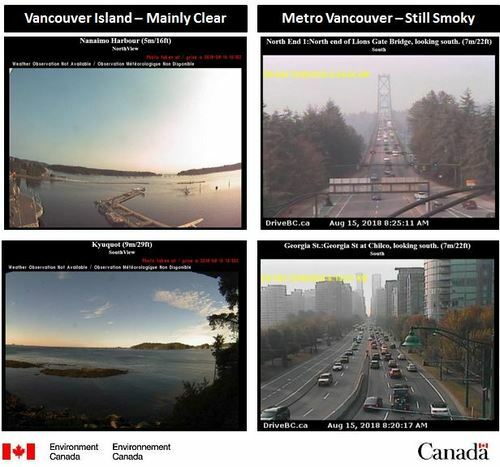 Updates on the wildfire situation across B.C. 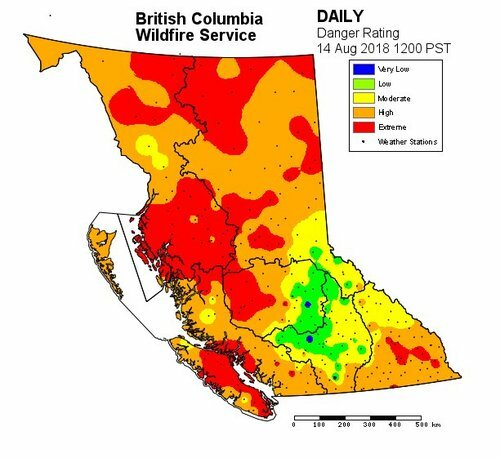 The Blue River #BCwildfire , ~15 km southwest of Lower Post, is currently 7,400 ha. This fire is active and creating large volumes of smoke that is highly visible in the nearby community. 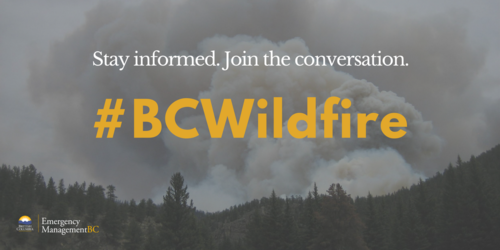 This fire will be monitored through daily flights by the BC Wildfire Service. The Lutz Creek #BCwildfire , ~11 km southwest of Lower Post which is ~200 km northeast of Dease Lake, is currently 100 ha in size. This fire is being monitored daily for protection of life and property. 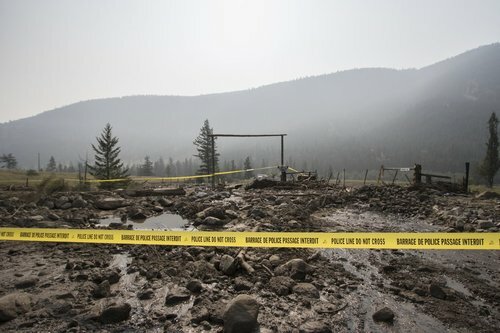 There are no evacuation orders/alerts in place for the Lower Post community. 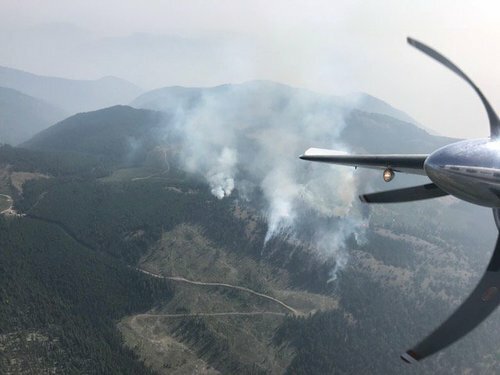 We're responding to the ~30 ha Olalla FSR #BCwildfire (K52670) located ~19 km down the Olalla FSR and ~30 km SW #Penticton . 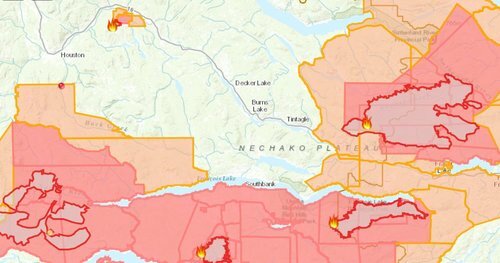 There are currently 565 fires burning. 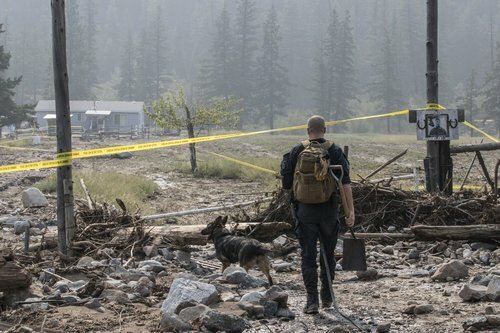 More than 3000 people have been evacuated from communities this year. 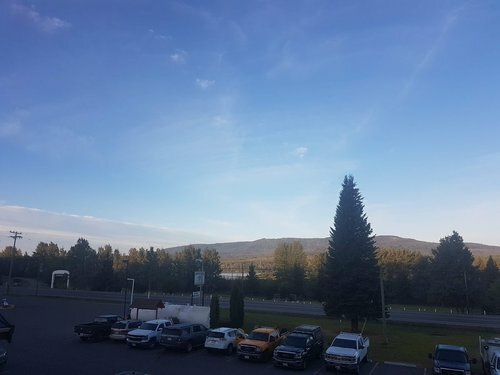 Weather/conditions permitting, the BC Wildfire Service will conduct a planned ignition on the Lost Dog Complex this morning ~14 km north of #KimberleyBC . 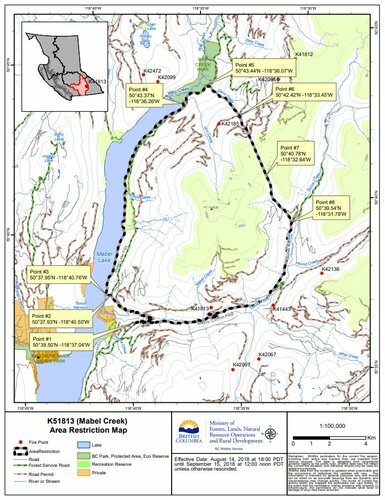 This operation will help contain and steer this #BCwildfire inside predetermined boundaries. 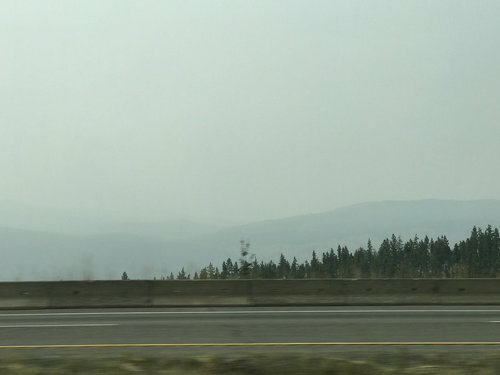 Increased smoke may be visible.